The Professional Services team of Superbase Software Limited is available for various forms of assistance. We can provide you one-off targeted consultation or we can be involved with you in a project from concept through to completion. 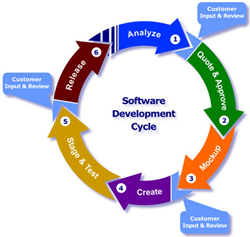 Superbase Software Limited can provide you bespoke development services for virtually any kind of project, be it “in-house” or a vertical market product. Our team have experience in a wide variety of real-world projects and, using our own tool set, we can create most projects quickly and effectively — on-time and on-budget. 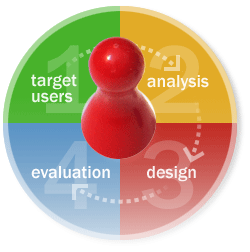 We use our own Rapid Application Development ( RAD ) tools and can normally build a prototype within a few days. After that we can work closely with you to create your Application, built to meet your personal requirements — faster and cheaper than you might imagine. All of the above services can be accessed via our support team. Contact us for a quote. Superbase Software Limited provides you free technical support when you buy our products. This support is limited to assistance with installing your products and does not automatically include assistance with programming and training. We provide a public forum at http://www.simpol.com/forums/ where users can exchange ideas, tips, tricks and even source code. For more professional assistance, technical support (normally remote support) can be requested via email or phone from our support team billed to the nearest quarter hour. Training classes are available for every level, whether you are a beginner or an expert in advanced programming. Formal technical support contracts are available that provide you regular access to our team for assistance on a wide variety of issues. If you are intending to commit to a significant program of development using our tools, we recommend that you sign up to a technical support contract that can put the resources of our team at your disposal. The level of technical support that you choose depends on your individual needs and budget. Our team has decades of experience at analysing paper-based or existing software and business systems with a view to improving them, whether that means moving to a software system, replacing an existing one, or just providing better training to your team.